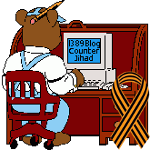 2012 September — 1389 Blog - Counterjihad! Seattle Seahawks 14, Green Bay Packers 12, Final Score! Harry Reid, it’s YOUR turn to release your tax returns! No more mosques in Moscow!